Now a day’s 90 percents of people are busy doing their works. Nobody have time, everyone is complaining that they don’t have time, not even for them or for the loved ones. But does life become so busy really? Do you ever check how much time you spend just checking your social networking sites, playing your favorite MMRPG, watching the latest web series or Netflix, youtube etc. I am not telling to be a synth or next Sophia, we are human after all, but time management is a important thing to focus, as without that you can't increase your productivity. We always thing after each day of work that we have done so much today and now I can do something to pamper myself. But do we ever check whether these works are productive or not? So I am telling you an old and easy way to check your productivity on day to day basis. I am skipping the apps way this time, so yes you don't have to download nor install any apps or software. Every night before going to sleep write your full day activity on a paper in a sequence. Like the way some people write their whole day expenses. if possible for every hour. And make sure you write all in a blue or black pan. After writing all the activity check which one was important and which one was unnecessary waste of time. Circle all unnecessary time wasting activity with red pen. Then you get a clear picture about your whole day activity, either in red circle or blue writing. Now its up-to your hand, how you minimize those red ball circles. That technique give you an clear pictures where those time is slipping from your hand, as one can earn money what he lost due to wrong moves but you can't get the time you lost. 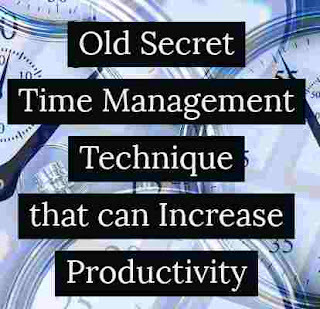 Less waste time means high time utilization in productive ways, so productivity will also increase. 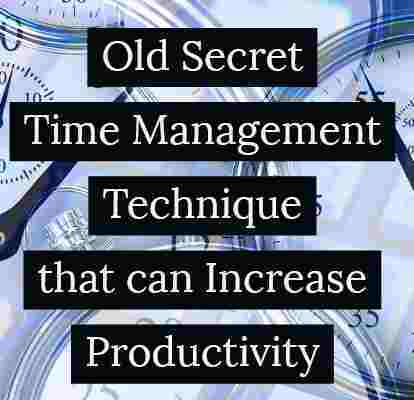 This technique can Increase productivity and you gain an ample control over your time. As you start to make it your habit waste of time will skip automatically. It further helps you to prepare your next day plan.